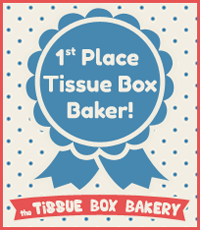 I realize that this is not a cake at all, but, it’s still a tissue box cozy! 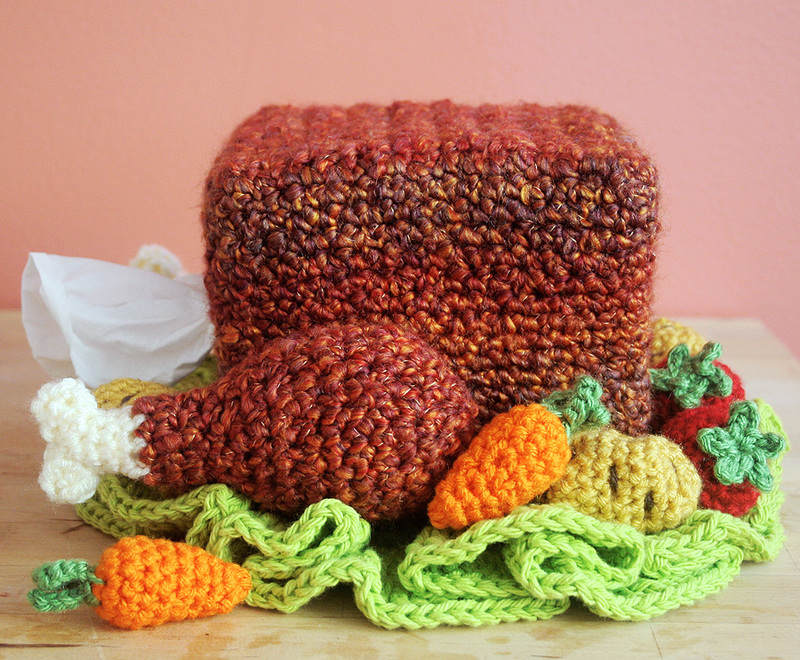 The pattern is free at Michaels.com and includes the turkey, carrots, tomatoes, potatoes, and lettuce dish cloth. 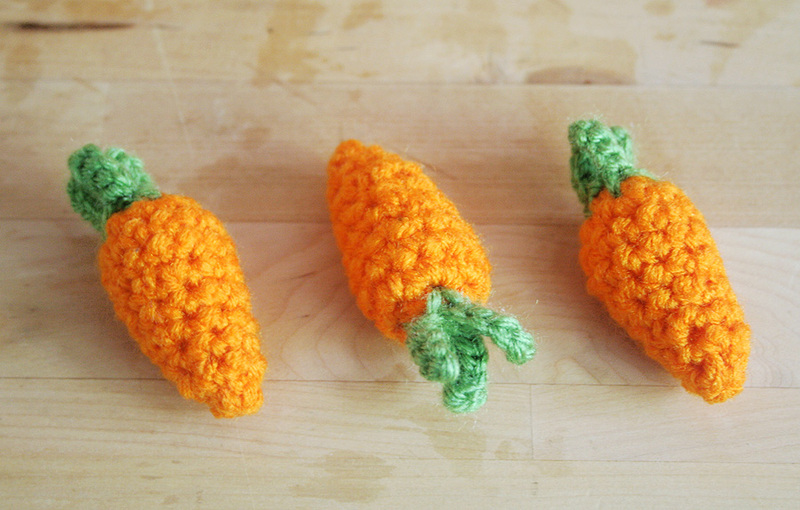 If you wanted to, you could use this pattern for baby carrots on a carrot cake tissue cozy. 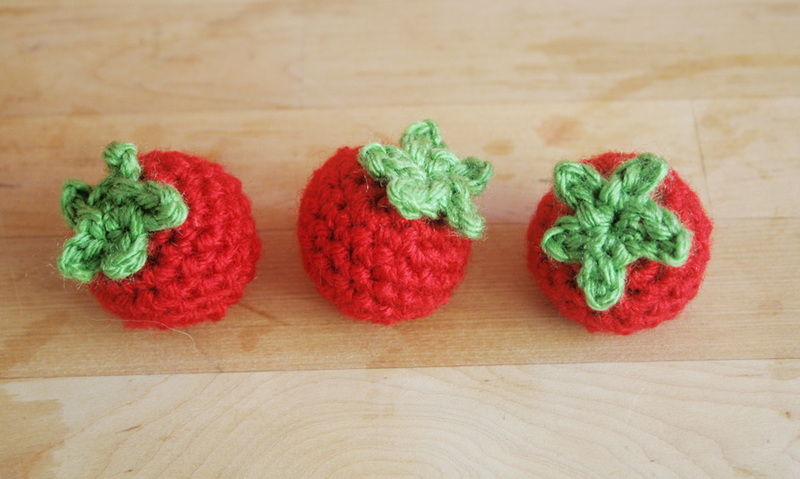 If you leave the tops off the tomatoes, they can instantly become cherries :).